Hey there, sport, take a seat for this. Listen, there’s something we have to tell you -- and remember, it’s not you, it’s Chicago -- it’s just that she’s kind of been lying to you all along. Like a second city with a second life, here are nine popular misconceptions about Chicago, debunked. A lot of disses used during the Crosstown Classic need to be fact-checked from here on out, because it turns out that the fanbases for the Cubs and the Sox are demographically almost the same. 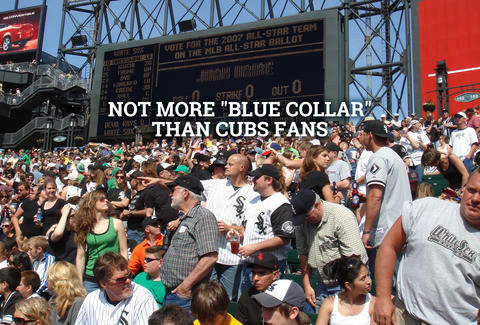 According to the Chicago Tribune and Sun-Times, both fanbases are predominantly white collar. At least we can all still make fun of Yankees fans? Even though your winter commute can feel like cruising the ice planet Hoth, USA Today says that Chicago actually misses the brunt of lake-effect precipitation. 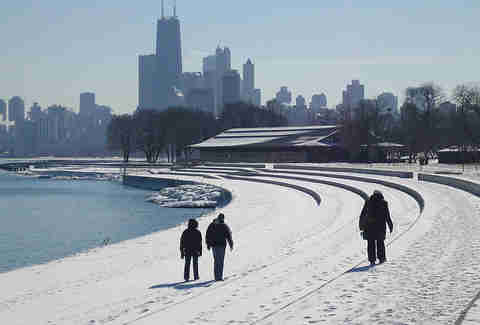 Apparently, the wind in Chicago has a tendency to blow from the West and Northwest, meaning that it goes into the lake. Meanwhile, nearby South Bend, Indiana receives nearly twice as much snow as Chicago, because its snowfall is actually lake-enhanced. At least you can take solace in the fact that you don’t live in South Bend. Sorry, South Bend. This one makes about as much sense as electing a ham sandwich to the United States Senate. According to the latest US Census data, Chicago has a population of about 2.7 million, and about 850,000 (32%) of its residents are non-Hispanic whites. Pretty much all of them would have to be Poles in order to dethrone the Polish city of Krakow, which has a population of about 760,000. In fact, a Voices of NY article shows that even New York City has more Poles within its city limits. The article also references a study that shows there are nearly 1 million Polish Americans in the state of Illinois, which is a huge number. But that number still doesn’t surpass the largest metro areas in Poland. Perhaps it could be stated that the Chicago metro area has more people of Polish descent than any metro area outside of Poland, but we can probably just put the original claim to rest. Close your eyes and try to picture a typical night out in Lakeview. 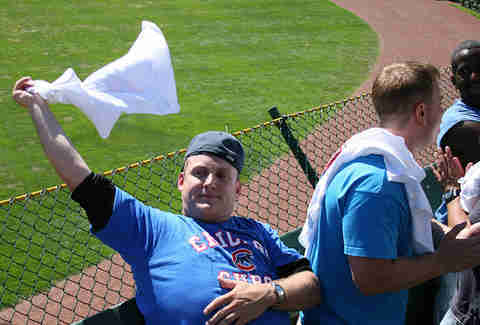 We’re imagining a sea of cargo shorts, backwards hats, North Face fleeces, and the raging bonfire of dreams that is a Cubs game. Lakeview just seems like the natural habitat of the Midwestern bro, but according to the totally scientific experts at FindTheHome, we’ve been poking fun at the wrong neighborhood. Using a formula that crunches ”the number of gyms, fitness centers, bars, casinos, liquor stores and adult entertainment establishments per capita, as well as the proportion of people aged 20-34,” the most bro-tastic ‘hood is actually the Loop, followed by Goose Island. Who would’ve thought? West Coasters may think that we’re constantly stuffing Polish sausages and Old Style into our mustachioed faces, but they’re also in a perpetual state of juice cleanse-induced lightheadedness. According to WalletHub, there are actually 70 metro areas that have heftier residents than Chicago and its suburbs. So, yeah, maybe we should hit the gym a little more. But we don’t need a Rascal scooter to get there. Chicagoans love to rep their neighborhood, regardless of whether they may be a bit misguided about which neighborhood they actually reside in. West Bucktown? Ravenswood Gardens? Can people just make this stuff up? Well, kind of. 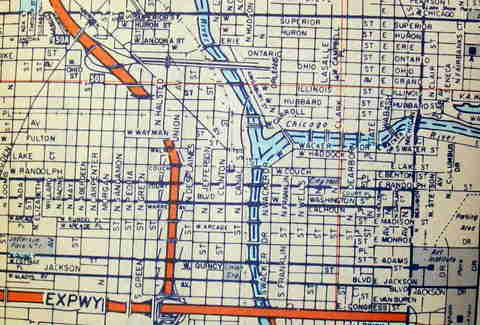 According to WBEZ, the city originally laid out a map of Chicago’s 77 community areas in 1920, and last performed a survey that mapped neighborhoods in 1978. The outdated map hints that the city is perhaps not the ultimate authority on neighborhood boundaries. Since then, local mapmaker Christopher Devane has picked up the slack and performed his own surveys. But surveys are also dependent on what residents call their own neighborhood, so borders can and do change over time. 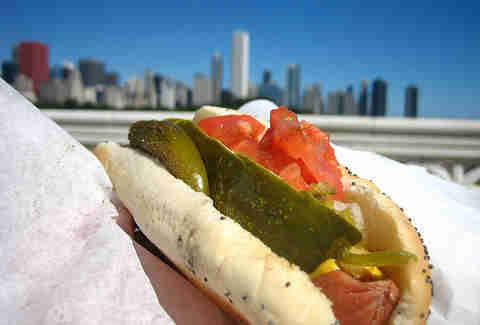 Like the Pledge of Allegiance or the chorus of Taylor Swift’s “Bad Blood,” the ingredient list of a Chicago-style dog has been memorized by everyone you know: all-beef wiener, poppy seed bun, yellow mustard, chopped onions, nuclear-green relish, dill pickle spear, tomatoes, sport peppers, celery salt, and noooooo ketchup. 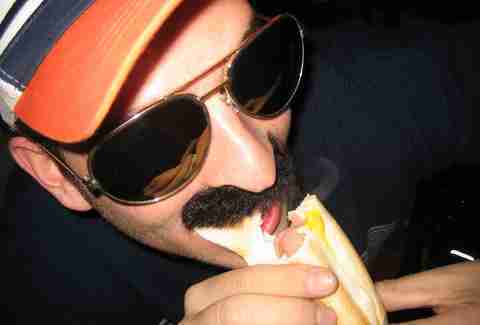 But in reality, even our most-beloved hot dog joints can throw a curveball into the recipe. Since 1948, Superdawg has been serving its version with a pickled green tomato. Byron’s adds lettuce, green pepper, and cucumber. Even the imitable Hot Doug’s didn’t stick to the recipe, instead serving its dog with caramelized onion. Hey, as long as they’re tasty. No one is having a great time when they’re packed in like sardines at the State Red Line stop at 5:15pm, catching a whiff of what is obviously urine, and then having “I’m Shipping Up to Boston” penetrate their ear drums like a GBU-57A/B bunker-busting missile because the teen standing next to them clearly did not invest in noise-canceling headphones. But even though Chicago’s public transit system is very easy to criticize, we still have one of the better-connected, smoother-running systems of any American city. In fact, Business Insider puts Chicago’s system at #6, which is good enough to be the best in the Midwest. 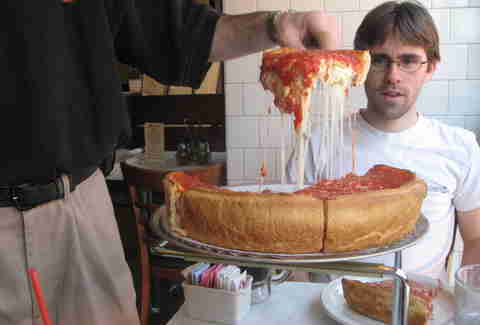 Chicagoans love deep-dish pizza like we love the rusted-out beater car we had in high school: just enough to defend it when someone else is making fun of it. The rest of the time we’re pretty whatever about the whole situation. Case in point: when responding to WBEZ, GrubHub stated that only 9% of its orders are for deep dish or stuffed pizza. Doesn’t a square-cut thin crust sound pretty good right about now? Raf is just going to start calling his neighborhood Logandale until it sticks. 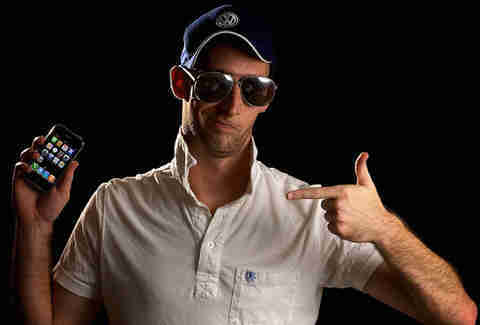 Follow him: @RafFoSho.